The Crain 5 Meter CR Series Grade Rod is the perfect solution to enhance leveling, landscaping, or other construction tasks while in the field. It features a rectangular shape with rounded back corners for user-friendly handling. Its shape also allows a laser sensor to be mounted onto the rod without a bracket.It is built to withstand tough environments with its non-conductive, corrosion-resistant, and waterproof attributes. 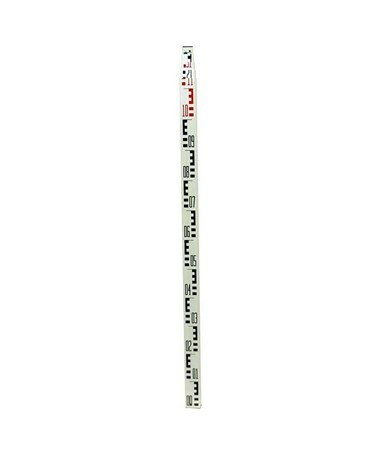 This construction rod contains five sections that fully extend to 5 meters and retract to 48.625 inches. When extended, these sections are held firmly in place with a secure locking mechanism of unbreakable buttons. This fiberglass leveling tool delivers optimal field performance as it displays a Centimeters/E-Metric scalethat enables users to achieve accurate readings. The graduated units of measurement are glare-resistant and clearly defined. To protect against damage, this grade rod is made with special molded ribs. The width of the scale is graduated to cover the entire face of the leveling rod. 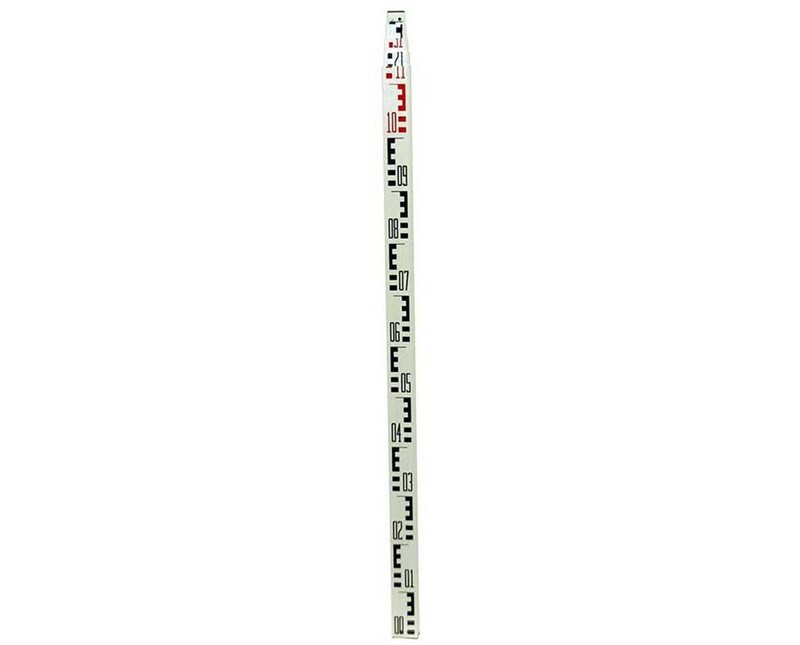 For eye level height reading, this measuring rod is equipped with a back measuring scale offering users better job efficiency and overall precision. A 1-year warranty is included.